Here comes Peter Cottontail. He is hopping down the bunny trail. Is your house ready? 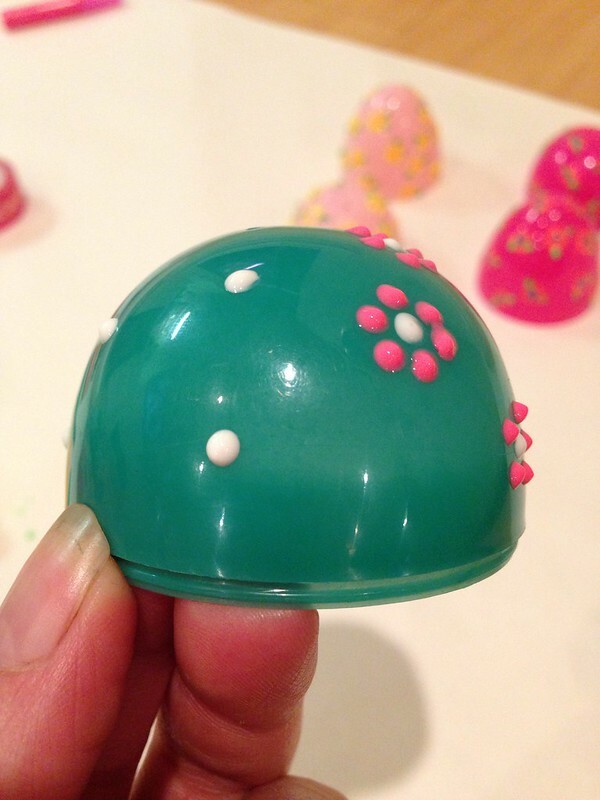 Do you have those eggs decorated for your kids pre-school class? Do you need a craft for Sunday school? 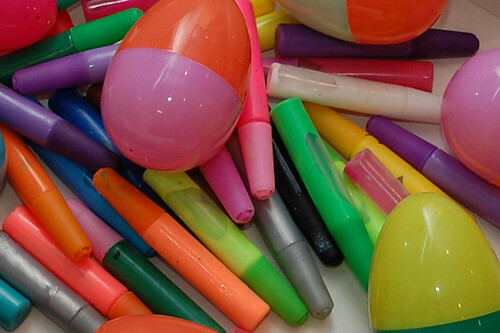 Grab some plastic eggs and Puffy Paint Writers and let' make some Easter crafts. Puffy Paint Writers are by far one of my favorite craft tools. 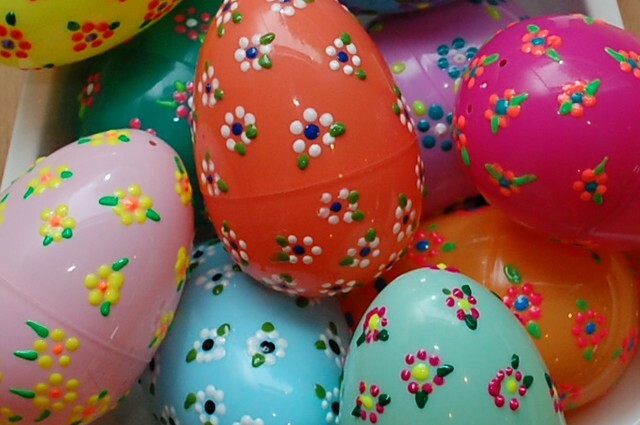 I love them on beads, milk jugs, Easter eggs and more. It is so easy to add polka dots or flowers to any project. I make my flowers with 3 colors. I start with a single color dot for the center. After my center dot is in place I go around the center making more dots with another color Puffy Paint Writer. Lastly, I make a tear drop shape for a leaf. 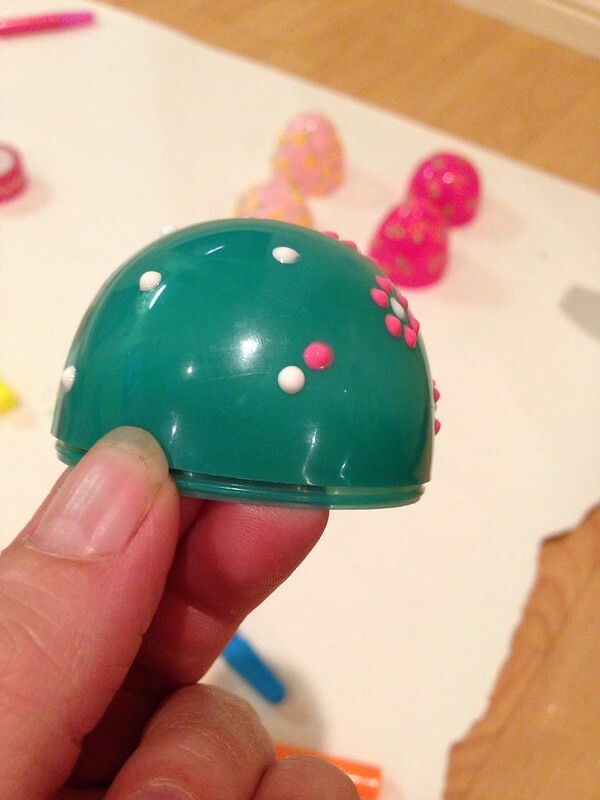 Allow your paint dots to dry completely. 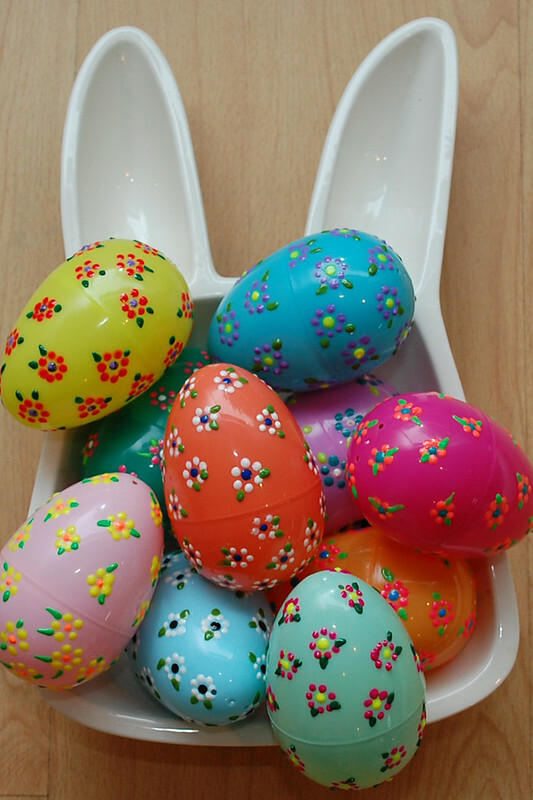 Display your eggs in a bowl, in an Easter basket, on a wreath or close the plastic eggs over some yarn for a super easy banner. 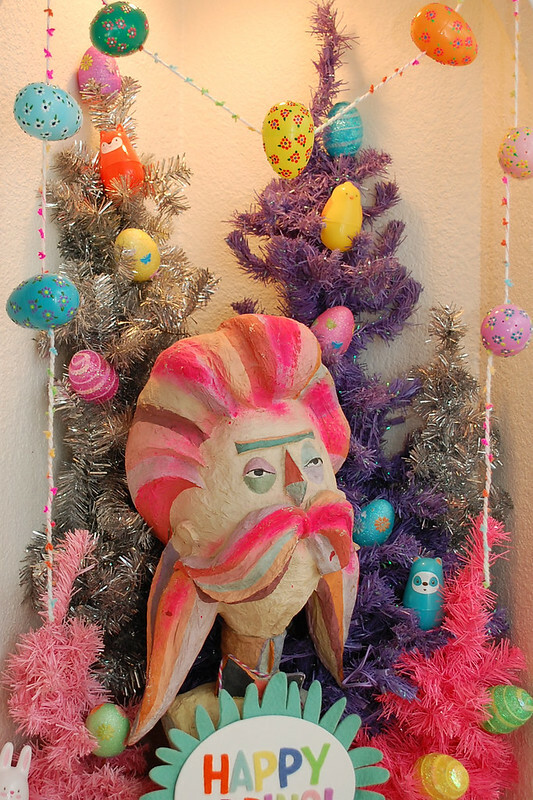 Really a fun way to do during easter season. Definitely on my to-do list next easter. I really love this. I'll be starting this project as soon as my daughter arrive.